BLOOMINGTON, Ind. 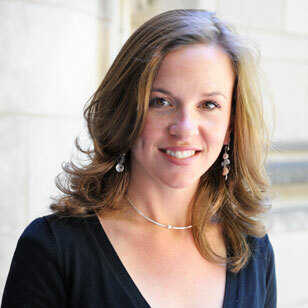 -- The Indiana University Jacobs School of Music has announced the appointment of Jacobs alumna Melissa Korzec as senior development officer. In close collaboration with the IU Foundation, Korzec will lead the school's development office, cultivating and coordinating philanthropic gifts and directing the Jacobs School's participation in capital campaigns for the Bloomington campus. "Over the past five years, Melissa has served the advancement efforts of our school in a variety of roles," said Gwyn Richards, Jacobs dean. "In so doing, she has garnered the support and admiration of the many she has served. Thus it is fitting to place in her hands the leadership of advancement activity, giving her the opportunity to build a staff that reflects our values, shares her goals and furthers the cause of the arts in society. She will make the most of this opportunity." Joining the development office in 2005 as assistant director, Korzec developed a successful stewardship and annual giving program that the office continues to use. She then served as acting director of development from 2006 to 2009. During that time, she substantially expanded donor relations on behalf of the Jacobs School, both on and off campus. In 2008, she was appointed to the position of associate director of development. Korzec has worked closely with members of the Jacobs School of Music faculty and staff as well as members of the IU Foundation to further develop the fundraising efforts of the Jacobs School, leading to the successful close of fiscal year 2008-09 with gifts totaling more than $7 million. Originally from Connecticut, Korzec moved to Bloomington in 1994. She graduated from the IU Jacobs School of Music in 2003 with a bachelor's degree in Vocal Performance and an outside field in English Literature. As a student at the Jacobs School, she studied with Teresa Kubiak and Paul Kiesgen. She was also a member of the award-winning Singing Hoosiers. For more information about the IU Jacobs School of Music, visit http://music.indiana.edu.